Rita Cameron Wedding, Ph.D. is a professor of Women’s Studies and Ethnic Studies at Sacramento State University (California). Dr. Cameron Wedding’s curriculum Implicit Bias: Impact on Decision-Making, has been used to train judges, public defenders, practitioners in child welfare, juvenile justice, law enforcement and education in jurisdictions throughout the country since 2005. As a faculty for the National Council of Juvenile and Family Court Judges (NCJFCJ), she has trained judges at court improvement initiatives in over 40 states. 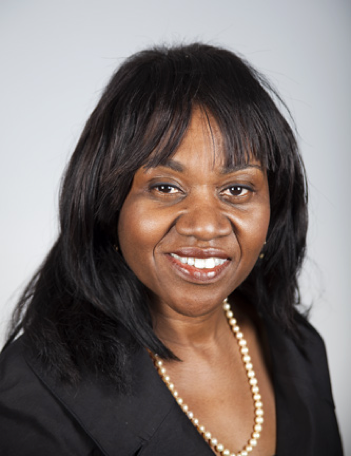 In 2010 Dr. Cameron Wedding was featured in the Office of Juvenile Justice and Delinquency Prevention’s (OJJDP) website which showcased her work for “content, expertise and platform excellence.” In 2013 in response to the U.S. Department of Justice’s 3-year investigation and findings of civil rights violations, Dr. Cameron Wedding led a training team of 5 experts to provide implicit bias training to the entire Shelby County Juvenile Court. In California 2009-11, she directed the Regional Training Project funded by the California Board of State and Community Corrections. This training project utilized an inter-disciplinary advisory board composed of educators, social workers and law enforcement personnel to design an effective curriculum to mitigate the effects of the School to Prison Pipeline. This project delivered 43 trainings to identify practices that contribute to negative school outcomes that put students at increased risk of juvenile justice involvement. Dr. Cameron Wedding’s work includes trainings and keynotes on implicit bias for the Texas New Judges College, the National Association of Children’s Counsel, the Family Court of the Superior Court of the District of Columbia, Child Abuse and Neglect Institutes in Reno, Louisville, and Atlanta, the New York State Judicial Institute, Superior Court Judges in Hawaii and Illinois and the Michigan Judges Association. Dr. Cameron Wedding has provided Train the Trainer Institutes, webinars, and curriculum development for various states including Indiana, conducted trainings in Maryland and multiple California probation departments. In addition Dr. Cameron Wedding has used her implicit bias expertise to provided expert testimony before the U.S. Commission on Child Abuse and Neglect Fatalities, various legislative hearings in California and as a consultant for the Annie E. Casey Foundation, one of the largest child advocacy programs in the country. In 2017, her curriculum on implicit bias will be incorporated into the police de-escalation curriculum for Fight Crime Invest In Kids and used to train over 5000 in-service and academy officers in the U.S.
As a Fulbright Scholar Dr. Cameron Wedding conducted research in Tanzania and South Africa. In 2005 and 2007 she spoke on a national talk radio show in Johannesburg and Cape Town South Africa. In 2008 she taught at the United Nations University for Peace in Costa Rica and the United Nations University International Leadership Institute Conference on the Palestinian-Israeli Conflict in Amman Jordan. In 2014 she delivered a talk at an international conference in Athens Greece and in 2016 she participated on a faculty panel at the City University of Hong Kong. She serves on the governing board of Global Majority, an organization dedicated to peace and conflict resolution throughout the world. In 2012 Dr. Cameron Wedding was the recipient of the John C. Livingston Distinguished Faculty Lecture Award, the highest faculty honor awarded by Sacramento State University. Her most recent article on implicit bias “Implicit Bias: More Than Just a Few Bad Apples” was published in the Juvenile Justice Exchange (June 15, 2016).